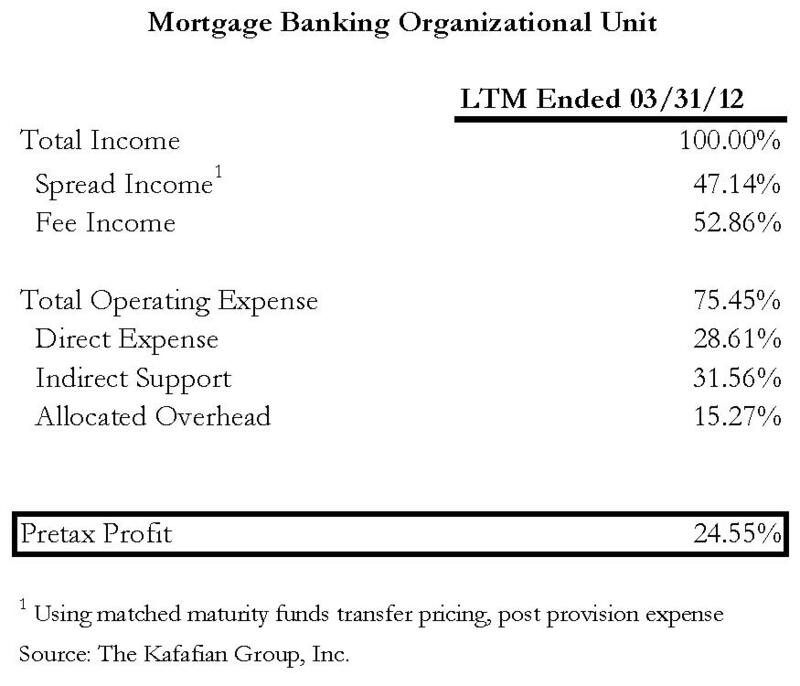 Jeff For Banks: Mortgage Banking: How profitable should it be? I recently spoke to an old friend that is a bank equity research analyst and asked him how his coverage universe was doing with second quarter earnings. He said his "mortgage banks did great". Meaning that those that specialized in originating and selling or putting residential mortgages on their books had a great quarter due to the strength of originations. Occasionally I get asked how much a mortgage banking unit should make. This is a tough question because there are various models. One where all loans are brokered and closed in the funding bank's name (mortgage brokers). Another model is where the bank funds the loans at closing and holds them for a brief period until they are packaged and sold (mortgage banking). The opposite extreme is where the financial institution books and holds the loan until maturity or pre-payment. This model is typically followed by some thrifts and credit unions. What has proven the least profitable model of late is the mortgage brokering or holding mortgages briefly until sold. These models tend to rely on mortgage originators for volume, versus using traditional bankers such as branch managers or consumer lenders. Mortgage originators are notorious for demanding a significant slice of the revenue pie of the mortgage banking unit. This puts pressure on profitability. I took a look at banks within my firm's profitability universe to look for models that relied heavily on originations then quick sales. My criteria was to ensure that over 50% of the unit's revenues were from fees on sold loans. It was true that just under half of the revenues of those that I reviewed were from the spread. But I wanted to get a granular look at how much a mortgage unit "should" make. The results are in the accompanying table. There you have it. 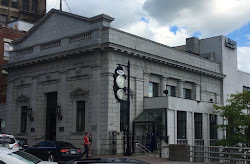 If your financial institution has a mortgage banking unit, it seems reasonable to me that your leadership should require profits of 25% of revenue. In efficiency ratio parlance, that is a 75% efficiency ratio. Not exactly knocking the cover off of the ball. But I have found that many mortgage origination shops subscribe to what one banker described to me as the "five cookies" approach. If there are five cookies on the plate, is it fair that one party should take four and a half and leave the crumbs for the other party? Especially since the crumb-keeper must bear most of the risk. Why be in a business that isn't improving your bottom line? It's a fair question.